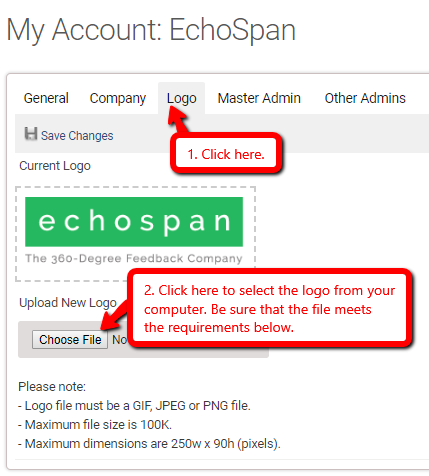 You can add a logo to your account that will appear on all user screens and on the cover page of your reports. Login to your account and go to the "My Account" tab. Choose your file to upload. Make sure the file you are uploading is a JPG, PNG, or GIF file, doesn't exceed a file size of 100K, and the maximum dimensions are 250W x 90h (pixels).